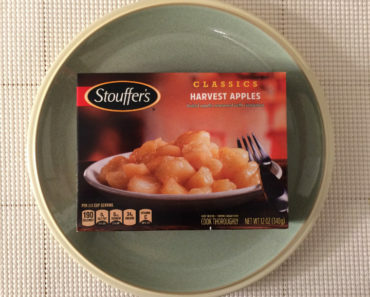 Stouffer’s has a few chicken dinner options in their frozen food lineup, including the Baked Chicken Breast and the Honey Chipotle Chicken, both of which we’ve reviewed in the past. 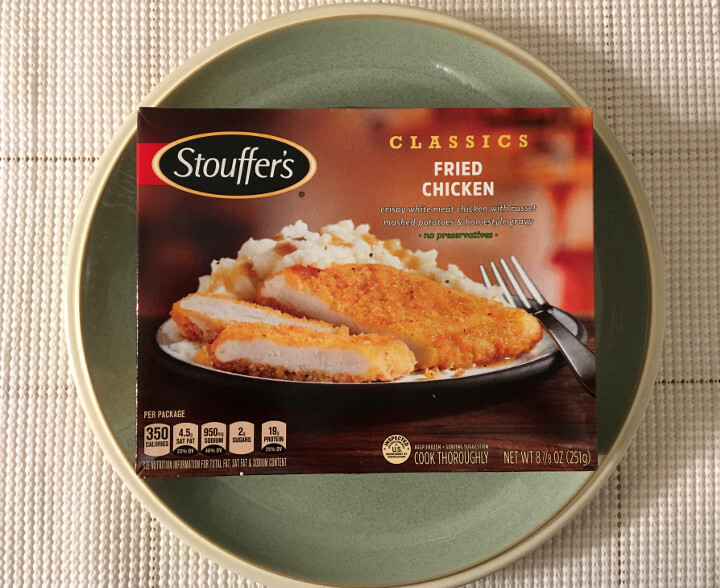 Yet in our effort to review every last frozen chicken dinner that Stouffer’s makes, there’s one meal that escaped our notice: the Stouffer’s Classic Fried Chicken. Today we’re correcting that. 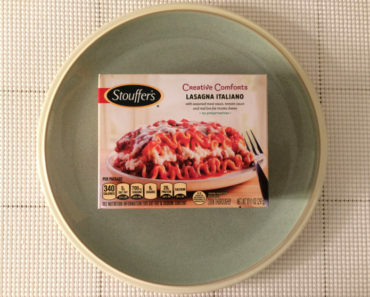 Now, this is the part where we usually talk about how long Stouffer’s meals take to cook. However, this one has a short cook time. Simply poke a few holes in the plastic wrap, pop it in the microwave for two and a half minutes, give the potatoes a quick stir, and put it back in for two more minutes. 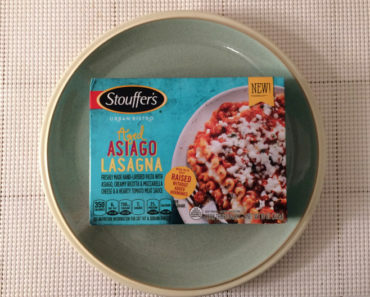 Four and a half minutes is incredibly short for a Stouffer’s meal, and impatient eaters are really going to appreciate that. 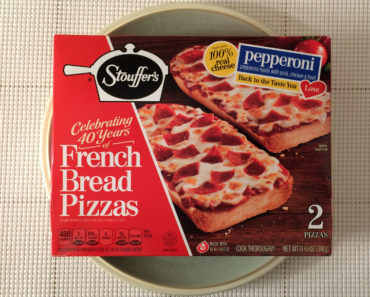 In fact, this cook time is so short that we were concerned this wouldn’t heat all the way through. When we took it out at the two-and-a-half-minute mark, the potatoes were still mostly frozen. However, that two extra minutes really does the trick, and this comes out nice and warm. The bulk of this meal — we’d say about two thirds of it — is dominated by a fried chicken patty. In fact, this is the sort of thing you might expect to find on a sandwich rather than served with a side of mashed potatoes. The chicken is a little bit rubbery, but the breading is actually pretty good to make up for it. Plus, there’s a helping of gravy that the patty is sitting on, which adds some flavor. The potatoes don’t look like much, though they’re a lot less ugly than the potatoes that come in the Classic Baked Chicken. They taste fine and they come with a nice little side of gravy, which we mentioned earlier. We’re not incredibly impressed, but we’re also not incredibly disappointed. 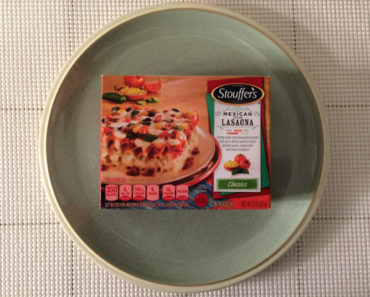 This meal is relatively low in calories, at 350, though it’s certainly no diet food. And it’s also loaded with sodium. 950 mg of sodium is no slouch, even in a frozen food. If you’re watching your sodium levels, beware! 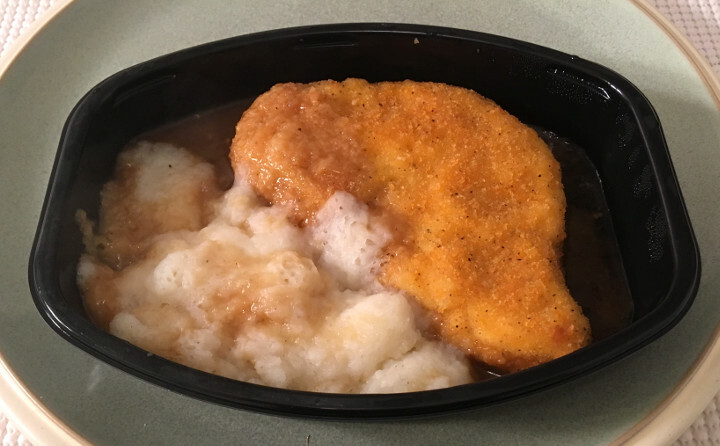 The Stouffer’s Fried Chicken won’t knock your socks off, but it’s a competent frozen chicken dinner that can be heated in a flash — and sometimes, that’s exactly what you’re looking for. If you’re trying to decide between the Fried Chicken and the Baked Chicken, our vote is enthusiastically on the side of the fried version. 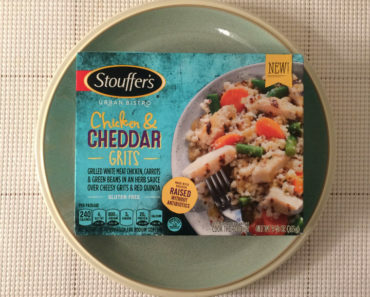 To learn more about the nutrition content or ingredients in this Stouffer’s frozen chicken dinner, check out our package scans below.